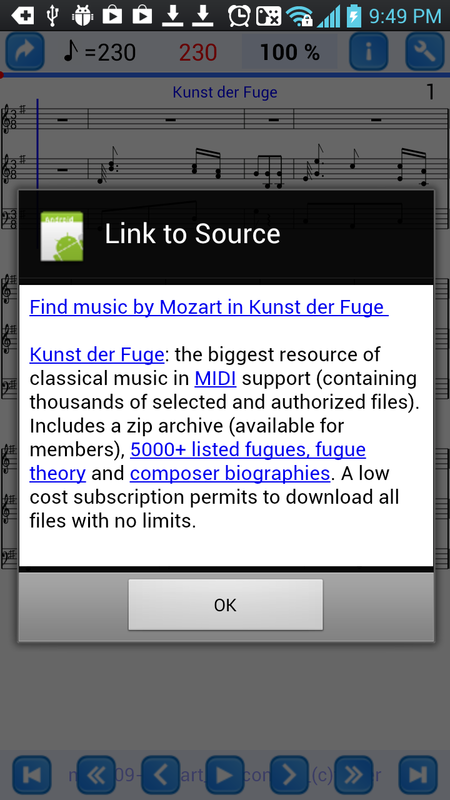 MozartMidi Notices - There is a link to source intenet site for each sample. There is a link to source intenet site for each sample. You can find source name (e.g. 'Kunst Der Fuge') at the top of every page of score. and when you touch it, following dialog (this is Kunst Der Fuge example) will appear.